"Action words" is fun way method to learn English verbs. 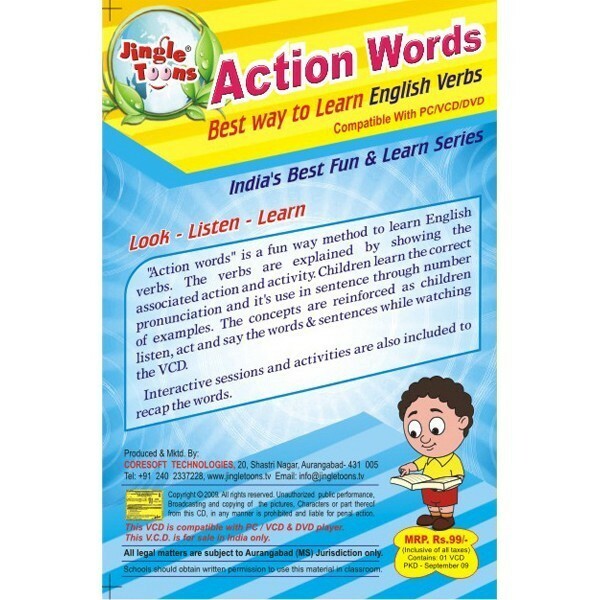 The verbs are explained by showing the associated action and activity. Children learn the correct pronounciation and its use in sentense through number of examples. The concepts are reinforced as children listen, act and say the words & sentences while watching the VCD. 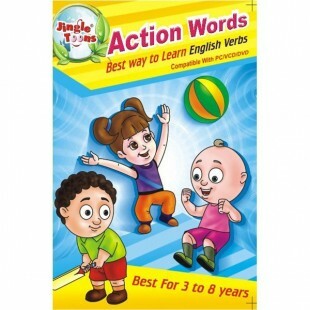 Interactive sessions and activities are also included to recap the words.